This site is devoted to free online help, support and information. Speaking of Free, we invite you to feel free to contact us with any questions, concerns or comments you may have. P B G O ! 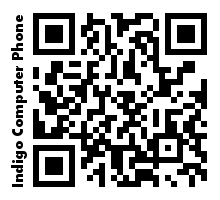 This post announces the end of regular support for Indigo Computer customers. I accepted a full-time position at another company, and that new position will not allow me to work with my former clients. My hours with my new job are 8 to 4:30 -- so I will not be able to respond to Indigo Computer support requests during regular office hours. I realize that means most customers will need to find a new Computer Support solution. I can still work after hours and weekends, and if your new Computer Support person has questions or I can work with you after hours, please feel free to eMail, TXT or call and I will respond as I can. Well, Microsoft did it again. Windows 8 Home Edition has no media player software. Microsoft took a feature that has been a part of Windows for the last 20 years, and removed it, then made it available at additional cost. If you're not an IT Professional, you might not know it until you try to play a DVD Movie. Well, have no fear, because lucky for us the GNU/GPL community is looking out for our sanity. 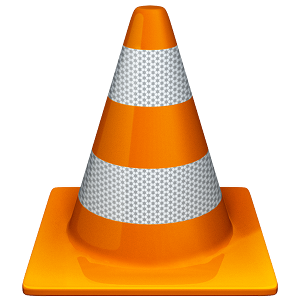 VLC Media Player has been around for almost as long as Windows, its free, and it works even better than Windows Media Player -- without all the security risks! If you need more information about Windows 8/8.1, contact us. If it's free, it's for me! Teamviewer is free for personal use. A quick and easy way to enable remote access to your desktop PC from anywhere, it works through firewalls and routers with no setup required. This is free video media player software -- works great for Windows 8 Home Edition.